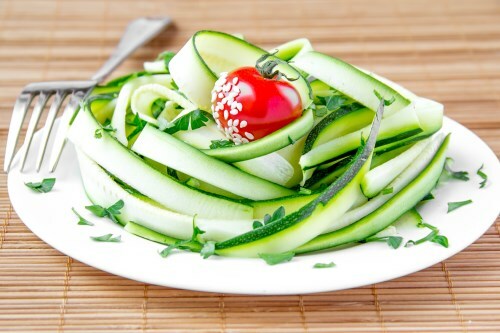 Arrange zucchini and yellow squash rounds on a plate and sprinkle evenly with salt. Set aside until some of the water is pulled out, about 5 minutes. Drizzle zucchini and yellow squash with extra virgin coconut oil and lemon juice and sprinkle with mint; season with black pepper.